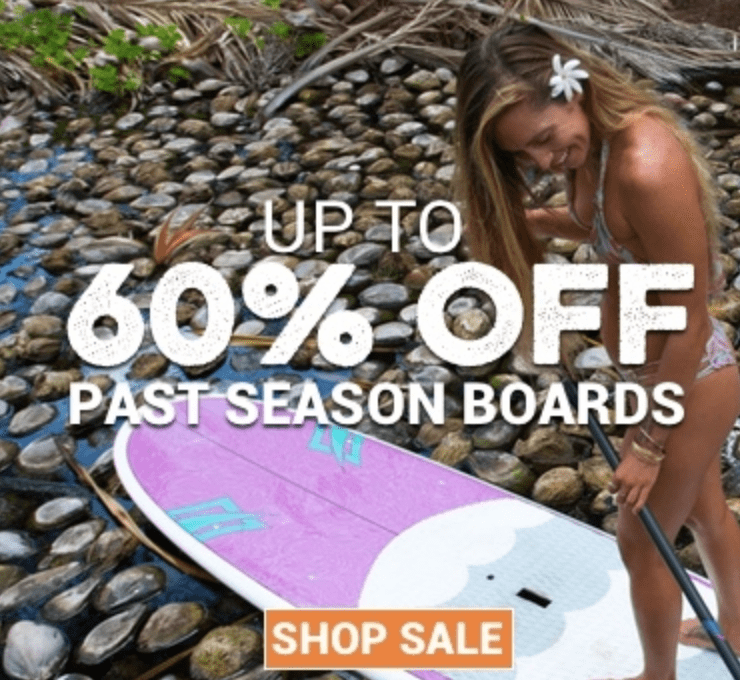 SUP Boards Review is one of the fastest growing paddle board communities on the internet. We have some of the best stand up paddle board reviews you will find that are written by passionate people who truly love the sport. Our site features a variety of content including reviews, tips, videos, how too’s, training, interviews, news, fundraisers, and SUP events. Since stand up paddle boarding has blessed us so deeply, we really felt the need to give back to the community. We are passionate about giving back which is why we chose to start the annual SUP Boards Review Athletic Scholarship Program. Our scholarship program has been created to help those with a passion to go after what they love. Our scholarship will be giving $1,000.00 to a qualified graduate student who is passionate not just about athletics and sports, but life in general. It is our inner wish that this will motivate others in the future to give back and help the future of our sport and our community. The main purpose of the program is to give back the blessings we have received and award a passionate and deserving student who not only loves sports, but life itself. We encourage those with drive and passion. First- You must be a legal US resident or a legal US Citizen. Second- You must be pursuing a degree at an accredited US college or university. To be considered a a qualified applicant for the SUP Boards Review Athletic Scholarship Program, you will first be required to write and enter a 1200-1800 word essay on How Athletics And Sports Has Affected…(xyz). You can write about water sports in general, or how athletics and sports has changed your life, or even someone’s you know. You can even choose to write about another sport all together. You are free to choose the sport or athletic endeavor that has affected you the most. It is even better if this topic is also an area you are studying. To complete the above mentioned, you will need to fill out our application form that will be found at the bottom of this page. Please be sure to attach your academic transcript or proof of enrollment. You need to have your application completed and submitted on or before January 1st, 2019. 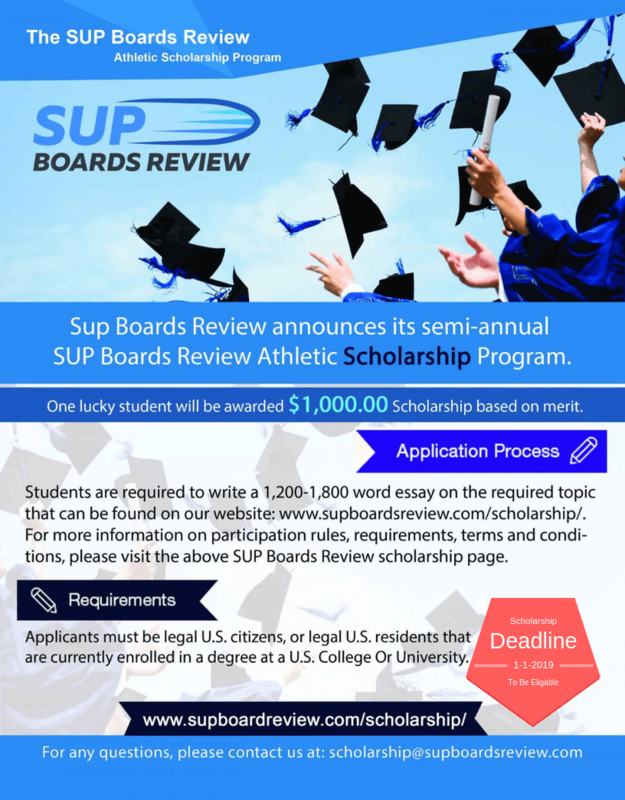 The SUP Boards Review Athletic Scholarship Program is a yearly grant, that is offered only one time to a winning applicant. We choose the winner based on merit and the actual quality of the submitted essay. The applicant who is awarded the scholarship will be contacted via email on or before January 1st 2019. The winner will be announced and their essay will be published here: supboardsreview.com/scholarship. The $1,000.00 scholarship will be sent directly to the student or, if required, to the university based on the rules of said university. The $1,000.00 prize can utilized for tuition, books, room and board, and any other direct educational costs. Any personal information that is shared with SUP Board Review will not be sold, shared, or solicited to any third-party groups, corporations or people of any kind. We take your privacy seriously. For any questions contact: [email protected].